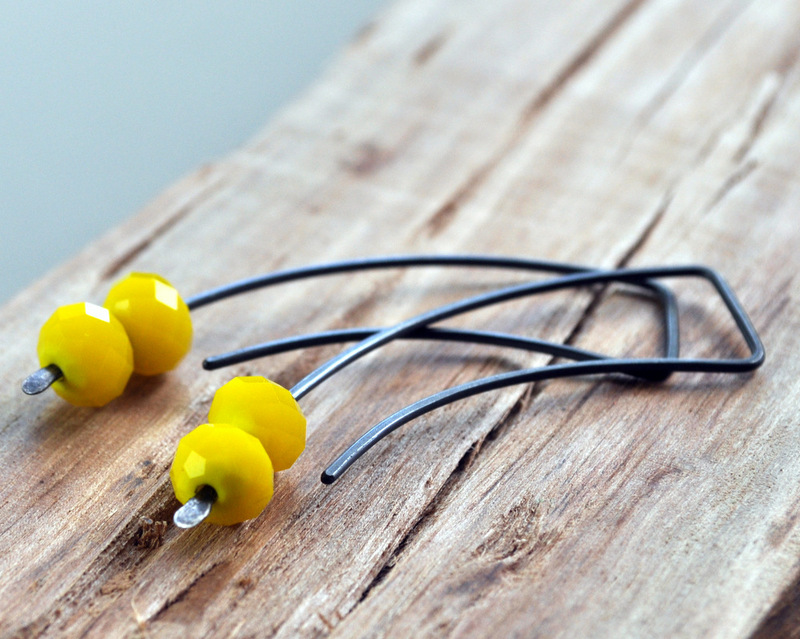 In the Southern Hemisphere, winter is coming… so brighten up your days with the Sunshine earrings! In the Northern, summer is coming… and these are the perfect celebration. 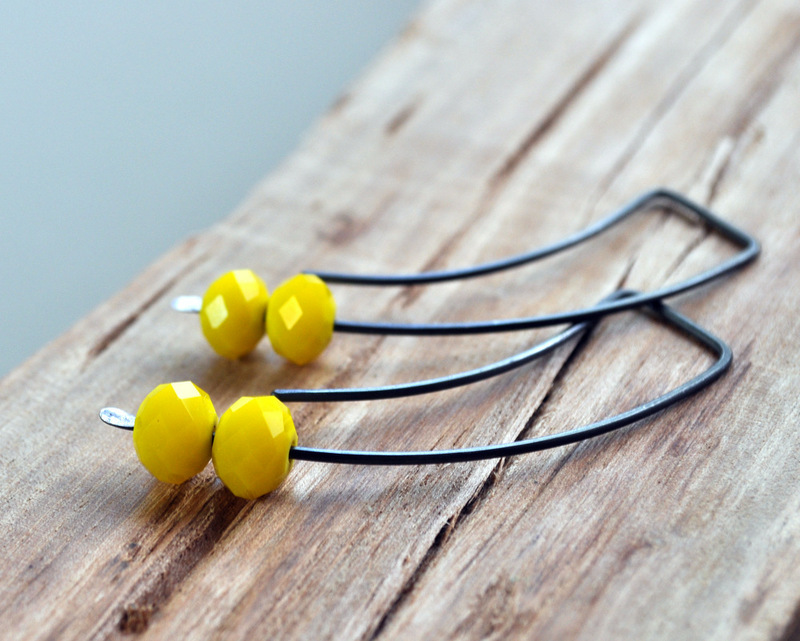 Perfect for everyone who loves to add a pop of yellow to their day. Check out the entire Oxidised Urban Candy range here. 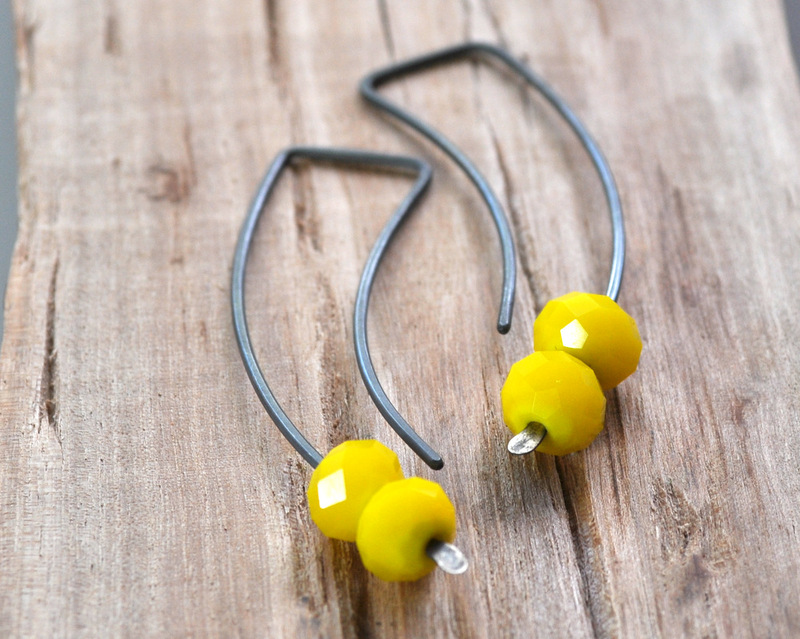 And the Sunshine earrings here. 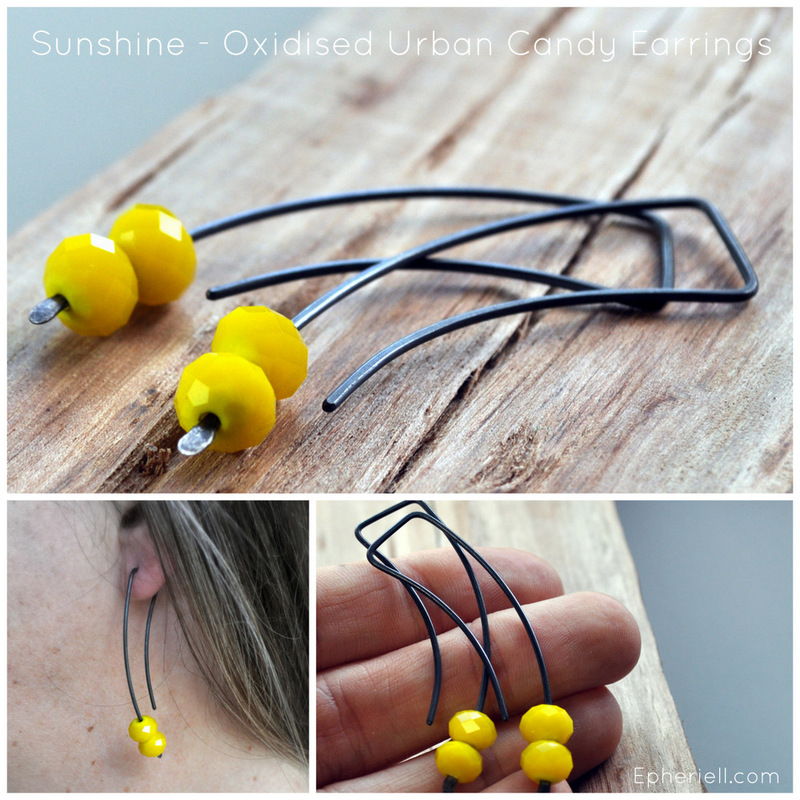 Use the code OXURBANCANDY on checkout at Epheriell.com to get 15% off the regular price ($39) of any pair (or as many pairs as you want*) of Oxidised Urban Candy Earrings – launch week only! There are 9 colour-schemes, and 8 different shapes to choose from. You choose your own combination. Happy choosing!